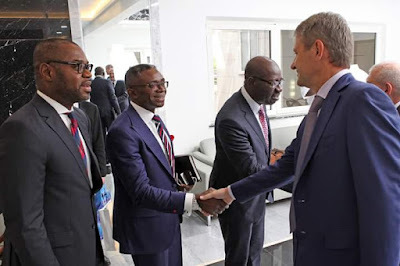 During his visit to Nigeria, Mr. Alexander Tkachev, accompanied by the Deputy Minister for Agriculture of Russia, Mr. Gromyko (grandson of Andrey Gromyko), and H.E. 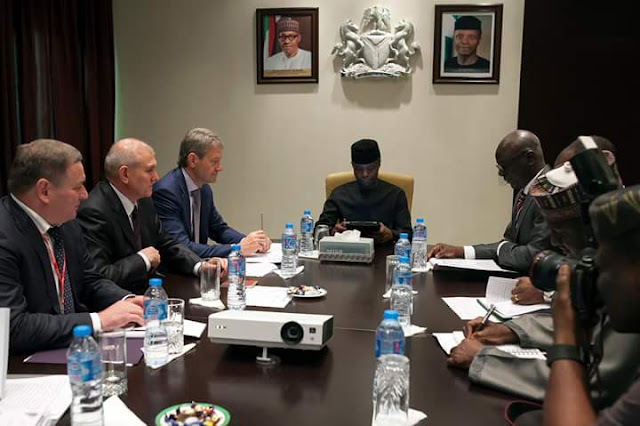 the Ambassador Plenipotentiary and Extraordinary of the Russian Federation, Mr. Nikolai Udovichenko held meetings with the Vice-President of Nigeria, Prof. Yemi Osinbajo, Honourable Minister of Agriculture and Rural Development of Nigeria, Mr. Audu Ogbeh, top officials of the Ministry of Foreign Affairs, the ECOWAS Commission His Excellency Edo state Governor Mr. Godwin Obaseki, the Managing Director of Afrinvest Mr. Ike Chioke, Executive Vice Chairman of GeoQinetiq - Jerome Okolo as well as other prominent Nigerian businessmen. In the course of the meetings they discussed issues of bilateral trade and investment cooperation, including increasing supplies of Russian agricultural production to Nigeria and ECOWAS region. 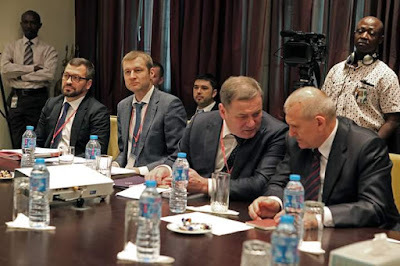 Special attention was drawn to the measures for providing resumption of aluminium production at the Alscon plant owned by the Russian company «Rusal». 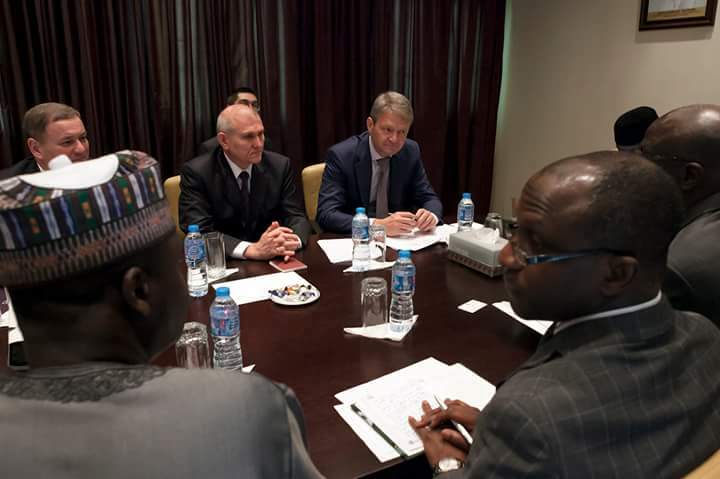 The Russian and Nigerian Government representatives discussed key spheres of bilateral cooperation, including agriculture, industry, power sector, military-technical cooperation, mining and solid minerals. 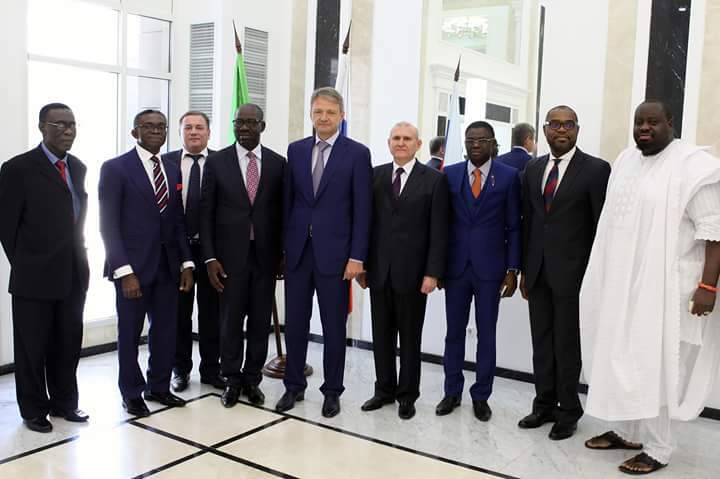 Following the outcomes of the session, the parties signed bilateral protocol, which reflects specific measures for stimulating economic partnership between Russia and Nigeria. 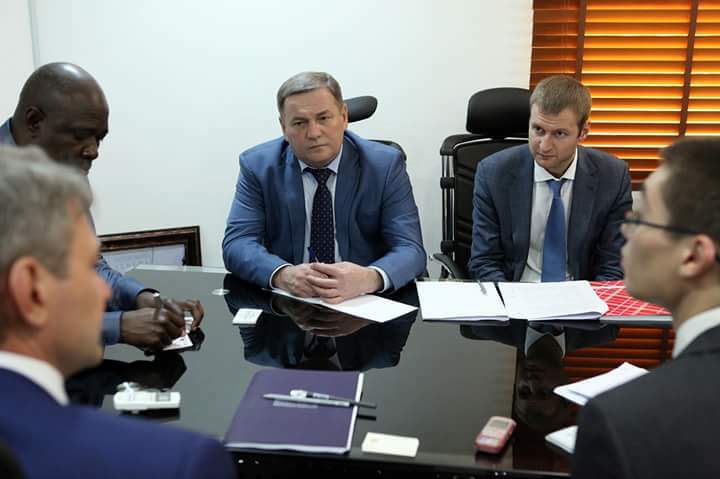 In particular, the Russian side expressed its readiness to participate in the efforts to revive Ajaokuta steel plant, to support large scale Russian investments aimed at increasing the supplies of food products and stimulating agricultural production in Nigeria, to bringing forward plans to establish assembly plants to produce agricultural and transport-related machinery.